In our EPIC Club this month we will continue our exploration and review of the features within our Top-of-the-Line Designer EPIC. 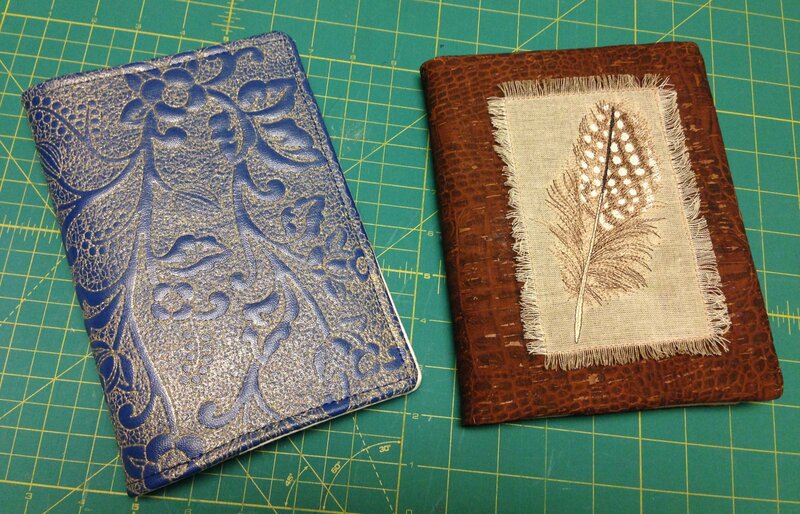 This month will be the first of a two part class (April and May) to make our Embossed Journal Cover. We will embroider an embossed design on vinyl to create a lovely journal cover. We will customize the inside flaps with embroidery to make a unique one of a kind cover. In addition, we will learn how to calculate the correct measurements for the journal cover based on the size journal you select.